Click here to view the Riverside calendar and download the latest Life of the Community newsletter. participation in our life together. Beginning with with Ash Wednesday and continuing through Easter Sunday, the season of Lent invites us to reflect on our individual and corporate lives as we journey with the people of God and follow Christ towards the cross and resurrection. Click here to find out more. 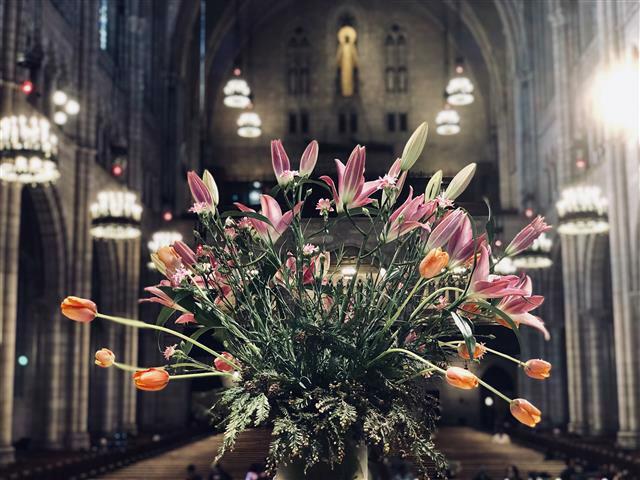 A traditional service held in the historic and beautiful Nave that follows the lectionary and liturgical calendar, centered around scrripture, preaching, music, and prayer. A celebratory and less formal service featuring preaching, prayer, and gospel-inspired music to reivive the spirit and help you through the week. 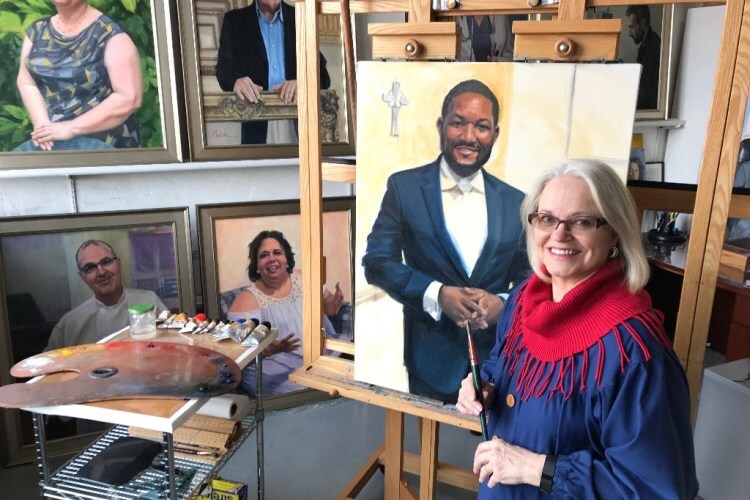 Visit the Portraits of Immigrants exhibit during the season of Lent to see 18 portraits and stories captured by artist Betsy Ashton. Join the artist for a conversation about the exhibit on Wednesday, March 6 at 6:00 pm. Christian stewardship is not just about how we use our money, it’s about how we live our lives in communion with God and each other. Using learning tools like worship, education, and dialogue, Stewardship and Development supports and shapes people of faith as they strive to show generosity in every aspect of their lives and better understand the connection between faith and giving. 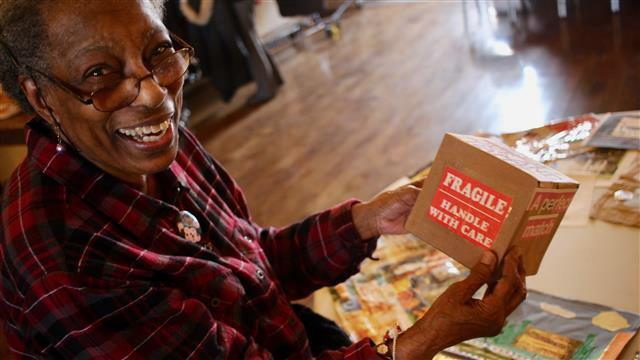 Grateful Gatherings are fun, family-friendly opportunities to come together around giving and serving. Let’s celebrate our work in 2018 and hear what’s coming up in 2019! 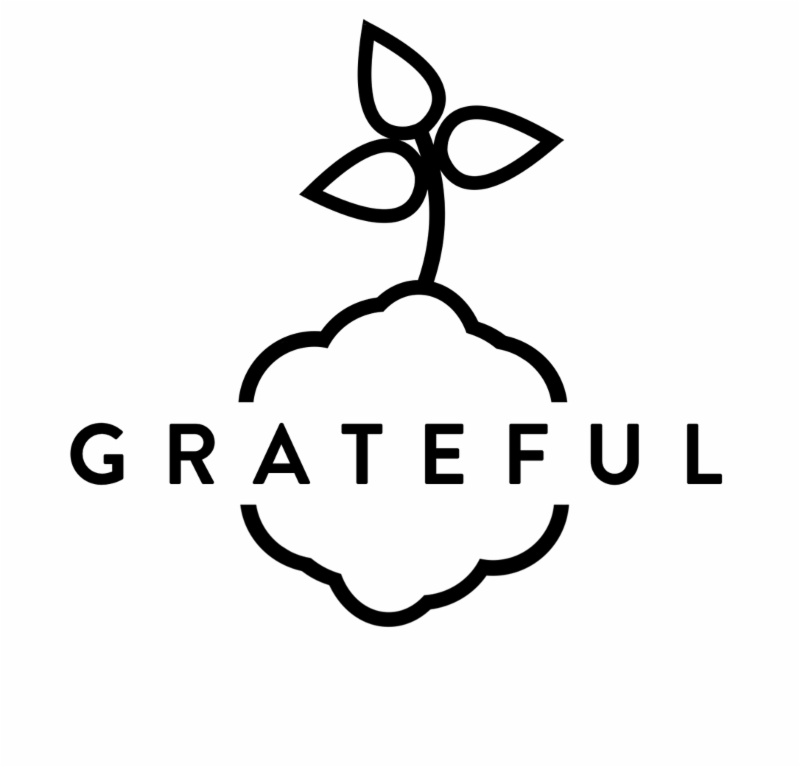 In the third year of our Grateful Campaign, we will dig even deeper in our spiritual practice of giving out of gratitude for all God has given us. We’ll share a festive lunch, games, and fellowship with the whole church community. As you leave the Nave, take a right and follow the hallway past Christ Chapel. Look for signs and greeters to direct you. Note that breakfast, usually served South Hall before worship, will be available for purchase in Assembly Hall on March 24. Live Justice Now is an ongoing initiative of Riverside's Mission & Social Justice ministries as we take action in response to the great need for truth, justice, and compassion in our world. Join the Sojourners Detention Visitation Ministry as we visit Elizabeth Detention Center. Contact Frances Connell at frances.connell@gmail.com for more information. Join the Riverside Ecclesia Ministry for their monthly worship service and fellowship in Marcus Garvey Park. Ecclesia seeks to serve those who might not feel comfortable in traditional church settings but wish to praise and worship God in community. Langston Hughes is often considered one of the most influential figures of the Harlem Renaissance. This program will follow last year’s Harlem Renaissance program as a celebration of African American literature and history. Hughes will be represented through his poetry, his humor, and the musical rhythms of his writings. This event will include poetry readings and dramatizations, live jazz, song and dance; and graphic displays of visual arts. Light refreshments will be provided. The event is free and open to all and is sponsored by Maranatha, the Men’s Class, Theatre of the Oppressed, African Fellowship, Black Lives Matter, Riverside Book Club, and the Poetry Group. Prosecutors could end mass incarceration today yet they continue to criminalize drug use and poverty, ask for money bail, overcharge minors, coerce plea bargains, throw people in jail. However, there is a way that our faith community can combat this. Get trained to become the eyes and ears of accountability through Court Watch NYC a group that builds the power of ordinary New Yorkers to demand an end to mass incarceration. By watching court proceedings, reporting what we see, and organizing around the systemic injustices that we witness, we check the unlimited power of prosecutors to put people in jail. Visit CourtWatchNYC.org to find out more. Join us as we hear and see how climate change is becoming more urgent, express our sorrow at how the Earth is changing, and discover how we can be sources of hope and action to save our planet. This year marks the 50th anniversary of civil rights activist James Forman’s interruption of worship at The Riverside Church on April 4, 1969 for the inaugural read-out of the Black Manifesto, a demand for reparations for African Americans. This class will recall the BlackManifesto’s context, demands and impact at Riverside and well beyond, and address such questions as: “Why did Forman choose Riverside to ‘get’ the Manifesto first?” “What are reparations, and are they the answer?” “What can we learn from the Black Manifesto today?” “If we were to write a new Manifesto, what would it include?” Presenters will include the Rev. Dr. Peter Heltzel, Associate Professor of Theology and FoundingDirector of the Micah Institute at New York Theological Seminary. In addition to the BlackManifesto, readings will range from the Bible to Ta-Nehisi Coates to statements by candidates for U.S. President 2020. 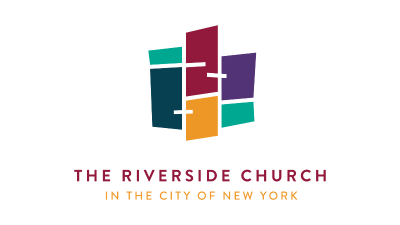 The Riverside Church exists to nourish and grow the faith of everyone who comes to us seeking to know God. The programs of our Faith Formation ministry will help you explore your faith, ask challenging questions about life, and grow closer to God and one another. Riverside Sunday Suppers are an opportunity to sit across the table from people whose faces you may only recognize from the passing of the peace, share a meal, and make our church feel just a bit smaller, a little more tightly knit together. Dinners will be offered every other week, rotating between Rev. Rachel Johnson’s house and the homes of current and new Riverside members. Space will be limited to host capacity. Visit trcnyc.org/SundaySupper to RSVP and for more information. All are welcome for the next Riverside Family Worship, an interactive and intergenerational worship experience that follows a similar liturgy as the nave and includes communion. All ages are encouraged to participate! Church school classes pre-k through 6th grade are closed for Family Worship. Are your kids obsessed with Fortnight and phones? Parents and guardians are invited to join Amanda Meisenheimer for a four-week series on our relationship with technology and the blessings and curses it brings to the lives of our children. ParentConnect is a parenting discussion group that covers matters of faith and family. How can The Riverside Church best meet the needs of your family? Join Reverend Bruce and Amanda for this special luncheon where we discuss the future of the children and youth programming. Lunch and childcare (K-6th grade) will be provided. Riverside young adults are invited come together for a light meal and a time to hear about upcoming events, church-wide committee reports from our young adults serving on committees and commissions, a time to share ideas and more. These quarterly meetings are lay lead by the young adult advisory board executive committee. Contact Rev. Bruce Lamb for more information and to RSVP. 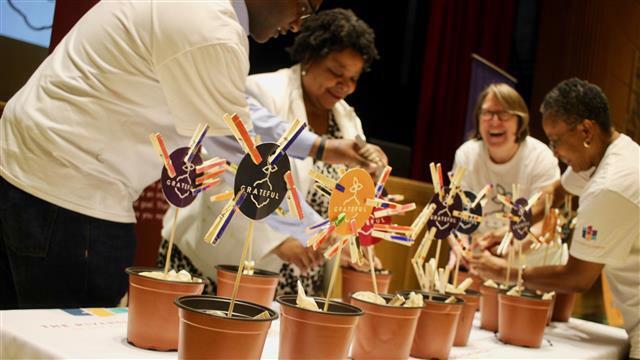 What does it mean to call ourselves a part of the Riverside Church community? How did we come to uphold values of social By studying sermons delivered from Riverside’s pulpit, this small group looks to our shared past to examine who we are as a community. Each session, this group will study a sermon from Riverside’s past, and whenever possible, makes use of materials from the Riverside Archives. Join other Riverside young adults for brunch as we gather together for eggs, bacon, avocado toast and great fellowship. The Riverside Youth String Ensemble (RYSE) will give a short performance and then we’ll learn about the situation in Palestine from guest speaker Katie Reimer.RSVP with Rev. Bruce Lamb at blamb@trcnyc.org. The Riverside Church Career day invites young people in grades 7-12th to explore the possibilities for their future and connect with adults and one another to help support them along their way. The day will include career fair booths featuring 25+ companies and professionals, panel workshops and discussions, resume writing, and more. All are invited. Featured speakers include Actor/Performer and Activist Brandon Dixon and Educator Jennifer James Soto. Complimentary lunch is provided. Admission is free. Find out more and register now at trcnyc.org/CareerDay. Faith Passage, Riverside’s con rmation class, is o ered for youth in grades 7 and up. Join us as we learn about and discuss the fundamentals of our faith. Contact Rev. Bruce Lamb for more information. If you are interested in pursuing the sacrament of baptism and you are a member of The Riverside Church, register for the Baptism Orientation Class to prepare for your baptism on April 7. Visit trcnyc.org/baptism to register. Contact Amanda Meisenheimer for more information. Save the date for God and Gender Identity, a conversation series about God and gender identity featuring Jenny Boylan, Joan Rater, J. Mase III, and Austen Hartke. Each conversation includes an interactive discussion with the presenters, suggested resources for further study, and free lunch. Childcare will available for students in grades K-6. Students in grades 7 and up are encouraged to attend with their families. Contact Rev. Bruce Lamb for more information. We believe that the community of God is open to all, including our youngest ones. Our vision is to create a worshipful environment that meets the needs of all ages through music, story, art, and play. Contact Amanda Meisenheimer, Associate Minister of Children & Families at mmeisenheimer@trcnyc.org for more information about our weekly Sunday morning programming for kids at Riverside. Youth at The Riverside Church are invited to talk about faith and justice and then go out into the world to put their faith in action. Every Sunday morning at 9:30 am youth meet in room 323 MLK for "Let's Talk" with Rev. Bruce Lamb. And every month youth gather for a "Let's go" program or event where they embody these conversations in their life and the world around them. Contact Rev. Bruce Lamb at blamb@trcnyc.org for more information about youth at Riverside. Click here for sermon recordings, podcasts, and other digital discipleship resources. 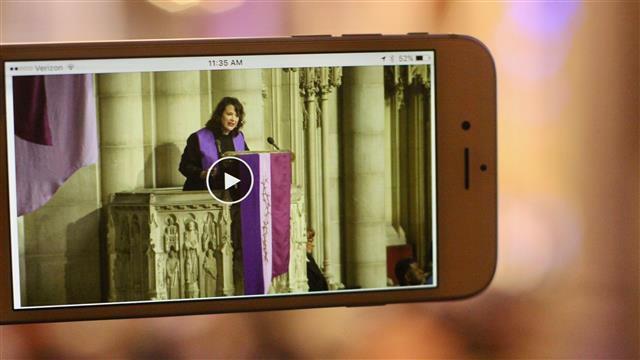 FoBe sure to follow The Riverside Church on Twitter, Instagram, Facebook, and YouTube. Have you ever seen Riverside pastors jump on a trampoline? 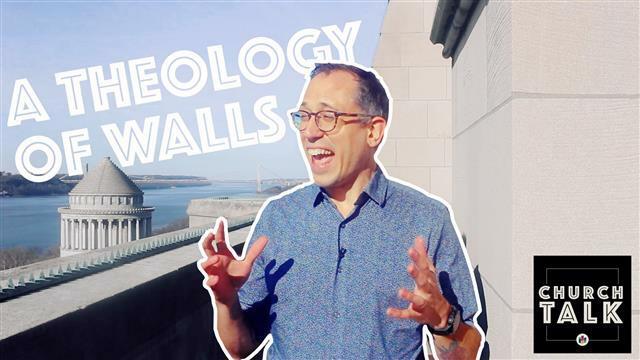 Visit trcnyc.org/ChurchTalk to watch the latest video, A Theology of Walls, and see who can jump the highest! Click here to watch the latest video and listen to the latest podcast episode. Church Talk is a monthly video series and podcast that invites you to explore the future of the church in our world today. You can subscribe to the podcast in your favorite podcast app and you can find the videos on YouTube and Facebook. 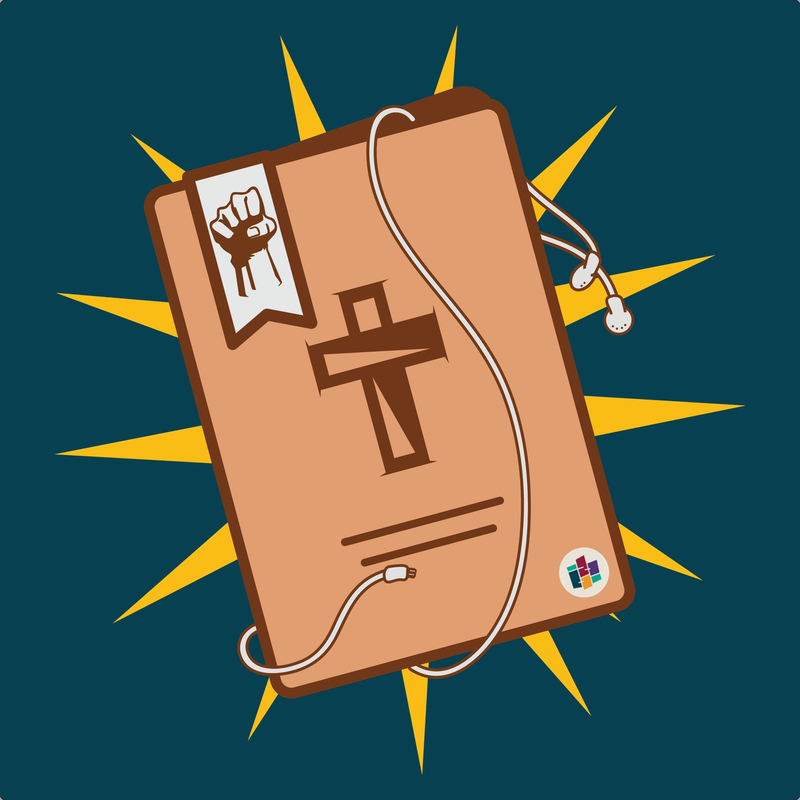 Riverside’s seasonal devotional podcast returns with daily episodes for the season of Lent. 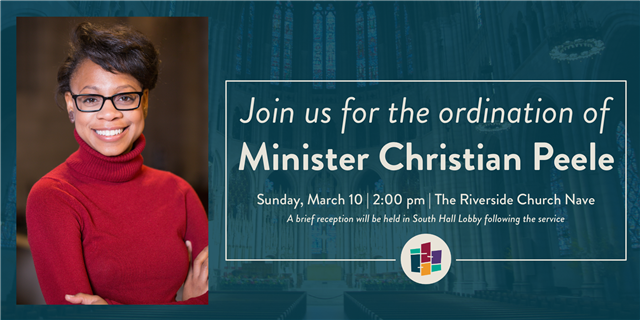 Nourish your soul and recharge your drive for social justice with reflections from Pastor Amy, the Riverside clergy, and faith leaders from around the world. Click here to listen online or search for “Be Still and Go” wherever you listen to podcasts. 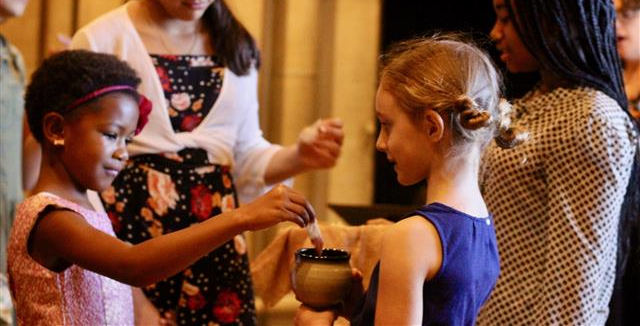 For over 85 years the music program has drawn people from around the world to The Riverside Church. From our five choirs, to our carillon and four organs, to our renowned musicians, guests are certain to hear music that enlivens and nourishes the soul. The Riverside Ringers host a weekend gathering of bell choirs from throughout the region, combining forces to perform a glorious concert on Sunday afternoon under the leadership of special guest conductor Debbie Rice from Winston-Salem, NC. As always, the performance will be a sight to behold and will fill the Nave with splendor. The event begins with a carillon recital at 3:00 pm and an organ recital at 3:30 pm. The combined handbell choirs will begin at 4:00 pm. Tickets are available online at trcnyc.org/HandbellFestival2019. Parish Care offers pastoral support to the congregation and community, including our social services programs, Tower League programs and events, weddings, funerals, and more. Join the Tower League for a weekly Bible study filled with wisdom and wit. Join the RIverside Tower League as we watch Women in Politics, a 2014 documentary that profiles the long, slow fight for female political representation over the last century, from the first woman elected to Congress in 1916 to a young woman running for Detroit City Council in 2013. Running time: 53 minutes. A docent from the New York Historical Society will offer a special program highlighting how women across the spectrum of race and class exercised power and brought about change before they could vote. This lecture will highlight prominent and little-known activist women of the Early Republic, the abolitionist movement, and the suffrage movement. This program is co-sponsored by the Tower League and Riverside’s Business & Professional Women’s Group. Crime Prevention Officer Kathleen Clifford, from the NYPD 26th Precinct, returns to Tower League to provide more safety tips pertinent to older adults. Art educator Gabriela O’Leary returns to Tower League to offer a program on female artists featured in the Museum of Modern Art’s collection. Riverside Older Adults and Young Adults are invited to join Rev. Lynn Casteel Harper and Rev. Bruce Lamb for a time set apart during Lent to pray, reflect, and fellowship as we journey together towards the cross. Lunch will be provided. Space is limited. Contact Rev. Casteel Harper for more information and to register. Visit www.trcnyc.org to find out more about The Riverside Church.